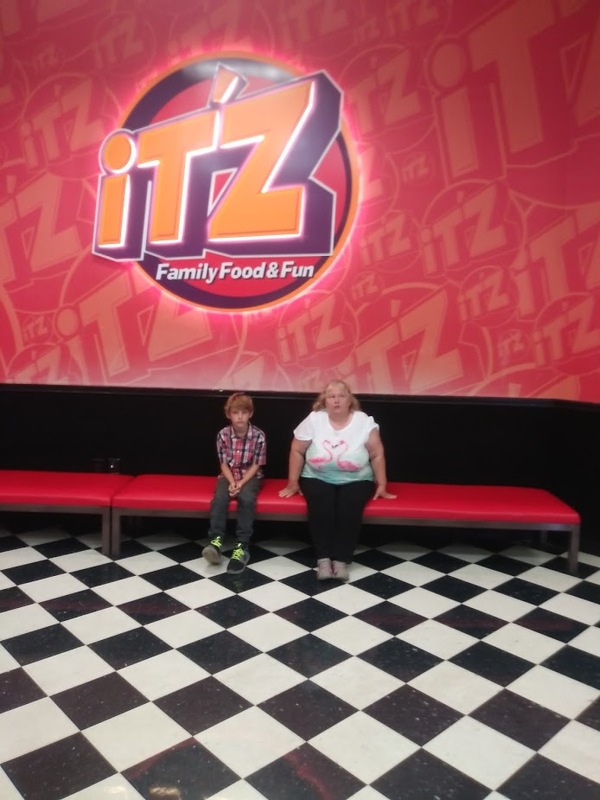 iT'Z Family Food & Fun Review by Glenda Cates | It'z Family Food & Fun! Back to school is right around the corner for a lot of children including Charlie who is out for only 17 more days. Now, you might say are you counting down the days and the answer is yes, I am. Although it isn’t because I want my son to return to school it’s because I am scared and also excited for Charlie because we homeschooled the past year. 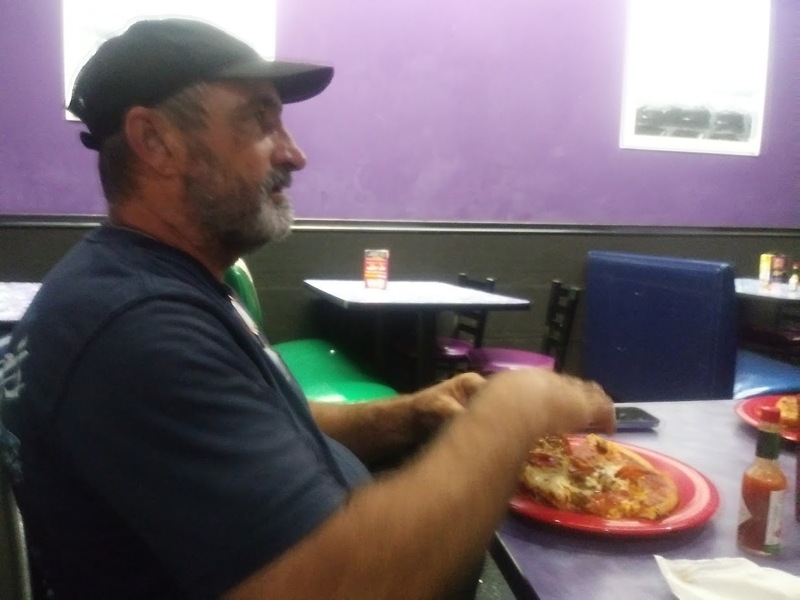 To make it even more fun for Charlie to return to school Charlie we went to visit Itz which is a local Pizza Restaurant for most people but for my family it was an adventure as we were able to have dinner which included cookies and more cookies Charlie wanted me to share with you. Then we were able to go Bowling in one of the two Bowling Allies. I was able to go and sit down in the Quit Room and rest while Charlie rode Bumper Cars and did Laser Tag and also Laser Maze while Aiden did the Rock Climbing Wall and before you ask why Charlie didn’t do the Rock Climbing Wall it wasn’t because he was afraid of heights because he didn’t have on closed toe shoes so make sure you bring a pair with you if you want to try out the Rock Climbing Wall. The boys played and I rested David was able to play different Video Games David found which he enjoyed including Shooting Games and Pacman. Charlie and I played Shuffle Ball and also a Basketball Game. With more than 150 interactive arcade games in our Game Room, where there is a game for anyone. Once everyone finished playing the Video Games and we had used all of our points I found one more Game I wanted to play. I didn’t ask David to go and get me a Game Card which he could have done as it was 8 O’clock and they were running specials on the number of points we could purchase and if David hadn’t had to go to work the next morning I would have asked him to purchase cards for all of us to play some more. I would like to let you know if you eat when you first arrive that you may want to check with your family and ask them if they would like anything else to eat or drink as the Buffet Line and Drink Stations close at 7:45. I reminded Charlie he and I had to go and grab one last cookie. For dinner, I was able to stay on my diet as I chose a Salad and Plain Baked Potato although they had all the fixings I like to put on my Potato. David did get me one piece of Pizza and with there not being a Meat Lovers on the line I was able to ask them to make my family one as they take Special Requests. 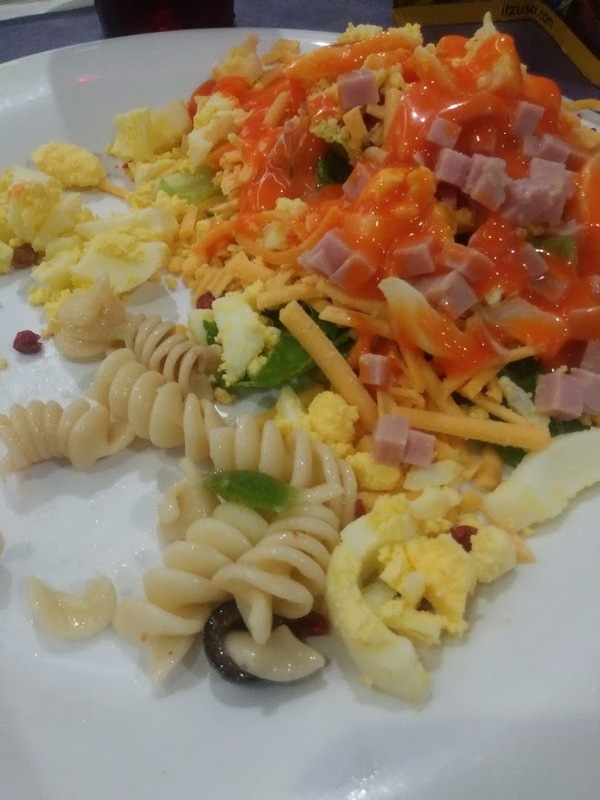 I also loved the variety of Pasta they had on the Buffet Line including Spaghetti which was so tasty and is what I plan on having the next time we visit. a. There are 4 different rooms we can choose to have dinner in and each one is a Theme Room. Sports and all things Sports is played on these TV for the sports lovers. b. The Cartoon Room which plays Cartoons all day and this room is perfect for younger children who may not sit still to watch a full movie. 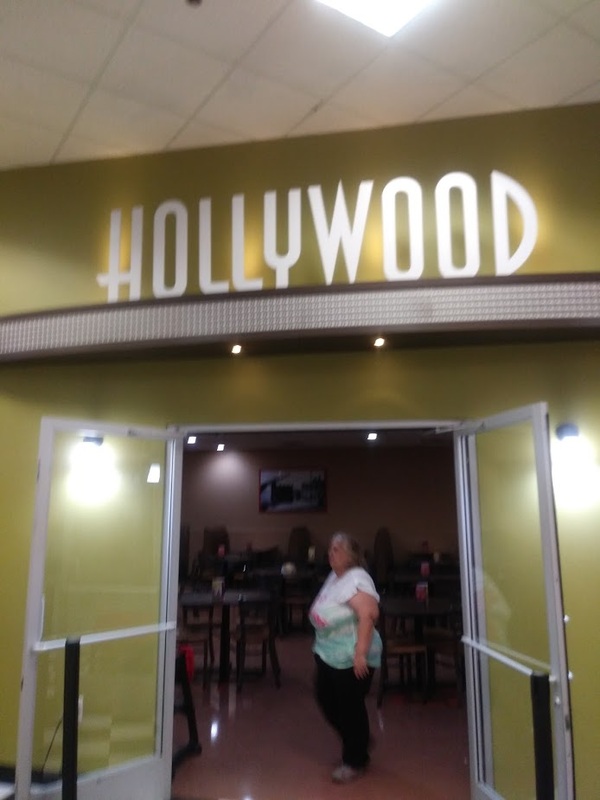 c. Hollywood Room where movies are played all day and they rotate the movies throughout the day so you could come when they open and stay till they close and see a different movie at all times. D. The Quiet Room where you can ask them to shut the doors and the room becomes quit which is great for children who need a quiet place. Or even adults who need to take a break from the noise and fun the children are having. 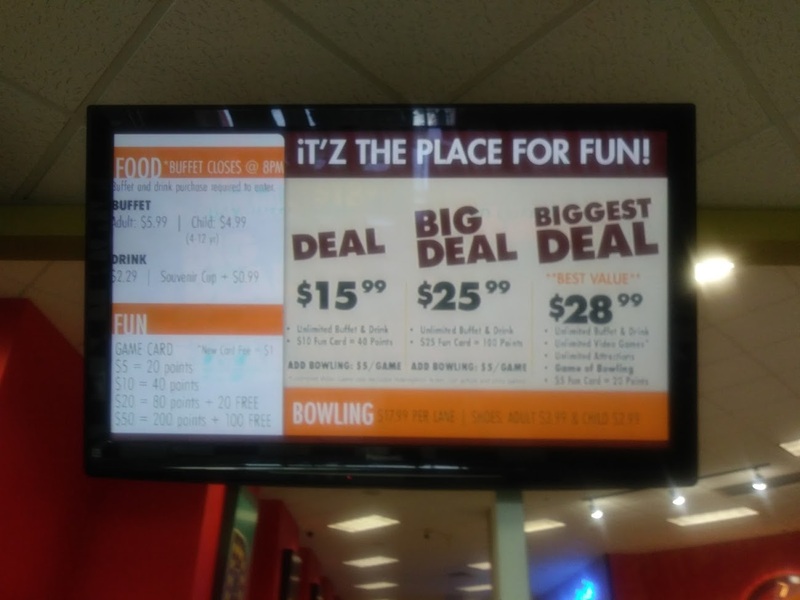 I like knowing ITZ runs specials throughout the week like children eat free and half price Video Games. Did you know you can come in late in the evening to play Games and you don’t have to purchase dinner? To play the Games which would save everyone money and allow us to spend more on Bowling or Games. I like knowing we can host parties at iT’Z from Birthday Parties to corporate events. As well as Girl’s Nights Out and Sports teams come and rent out the Sports Room and Charlie is wanting to invite Wrestlers out to Itz to have dinner so he can meet his heroes. For me, I would like to host a Blogger/ Small Business Meetup work day. I like how Itz work with local schools to support our children by offering rewards System on the Grades our children make and they earn points which can be used in the Arcade as this gives children the motivation to work hard and complete there homework. I can’t wait to share this information with Charlie’s principal. Birthday Parties and being able to invite 8 children instead of 10 children and being able to bring a Cake we purchase and knowing they would put it in there Freezer for us. I like knowing I can book a Party through them and they give us two Host or we can just purchase dinner and bring in a cake. For me, I would book the party so the children get a card to use in the Game room and there is a party package that would fit anyone’s Budget. Bonus point checks out the Annual Pass which I plan on purchasing to place inside Charlie and David’s Christmas Stocking and I would like to let you know to be watching for the Halloween Event they will be hosting as well as Christmas events in December. As this is the perfect place to bring our children and they are safe and we don’t have to worry about someone taking them or they end up hurt.